Acyuta Property Consulting assists a wide range of clients including high net worth individuals who want their dealings to remain private, busy professionals and business people, investors seeking the optimum capital growth, expatriates, foreign investors and inexperienced first homebuyers. Unlike most other buyers' advocates, We have Registered Builders as well as having a background in property purchasing and renovating. This means we can offer the most accurate assessment of whether a property is structurally sound, including co-ordinating pre-purchase building reports that identify and inform you of any existing building faults or concerns. Nervous about bidding at auctions? With over 25 years of experience in auction bidding and private sale negotiations, our skills and knowledge will prove invaluable. We can negotiate a property purchase without the emotional attachment a buyer may feel. Searching for a rental property? Finding a suitable rental property can often be just as exhausting. 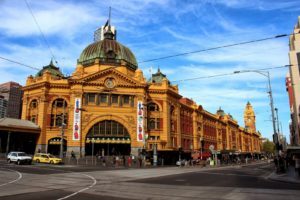 With an in-depth knowledge of the Melbourne rental market, We can locate properties that match your criteria and assist with your rental application giving you the best chance of being the successful applicant.